They came, they enjoyed, they conquered. 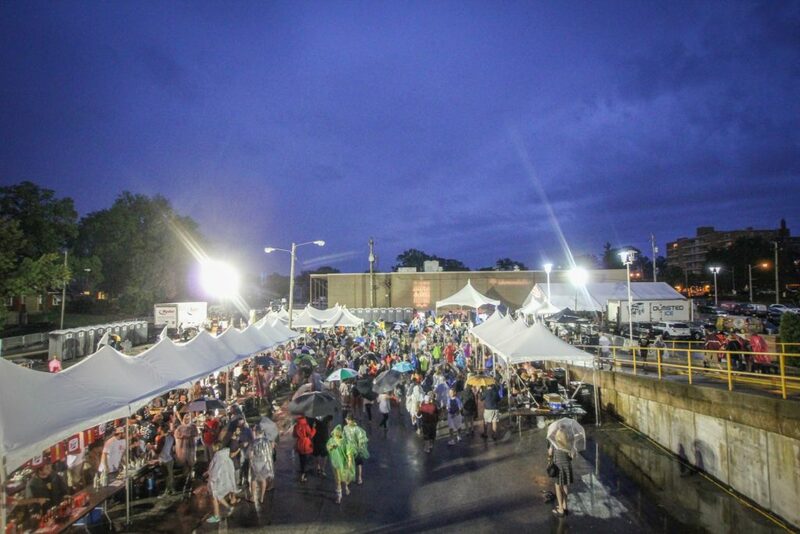 Braving persistent rainfall, attendees at the 4th Annual Lakewood Wine & Craft Beer Festival proved the allure of bona fide fun can trump the threat of adverse weather. 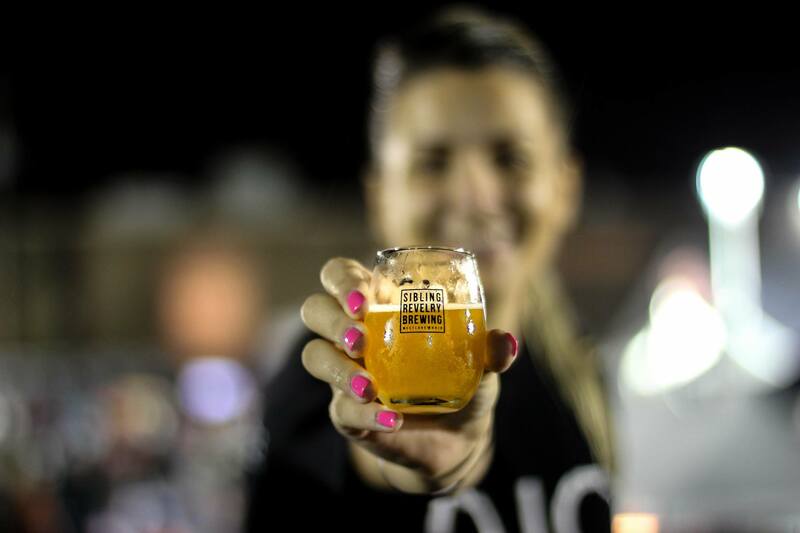 Hordes of craft beer and wine enthusiasts descended upon Downtown Lakewood on Saturday evening, Sept. 10, to partake in a late-summer tradition more satisfying than a tasty pale ale. The Lakewood Wine & Craft Beer Festival – sponsored by Sibling Revelry Brewing and presented by LakewoodAlive – afforded attendees an opportunity to sample from a wide selection of premium beverages, participate in informative classes at The University of Akron Lakewood Wine & Beer School, taste cuisines from eight popular Lakewood restaurants and enjoy live music echoing throughout the festival from the First Federal Lakewood Stage. Drink choices were plentiful, as more than 180 craft beers representing nearly 50 breweries and 60 wines from 50 wineries were on hand. Sibling Revelry Brewing offered a half dozen of its signature brews, and the Rozi’s Wine Row, sponsored by Rozi’s Wine House, featured an extensive selection of domestic and international wines. VIP attendees partook in exclusive food and drink options within the dry confines of the VIP tent, sponsored by Vosh, Georgetown and Around The Corner. 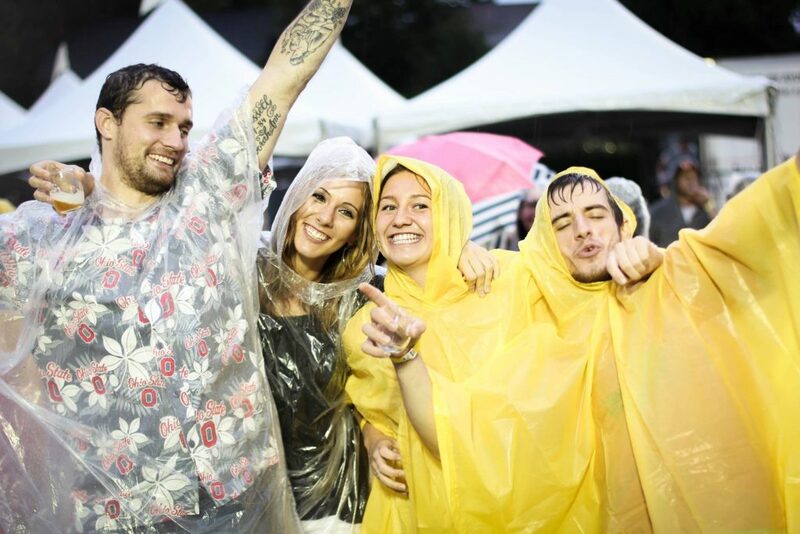 While some guests attempted to escape the rain, most opted to embrace it. They adorned ponchos and carried umbrellas while taking selfies, toasting the occasion and comparing food and drink preferences with friends. Throngs of festival-goers converged to dance the night away as bands Lost State of Franklin and The Light Of Day commanded the stage. 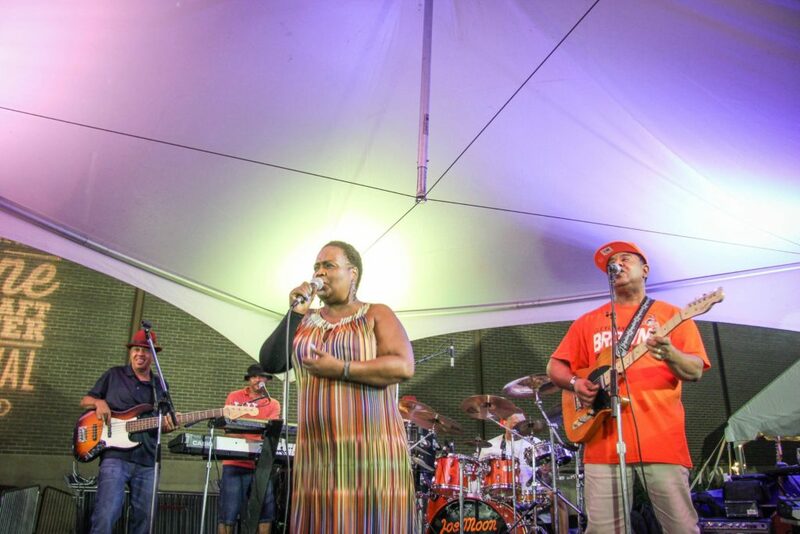 The latter, a five-member band, brought crowd-pleasing energy to the festival with a blend of top-40 music, jazz, R&B and funk that enticed attendees to twirl their umbrellas and groove to the beat. Nothing, it seemed, could rain on their parade. 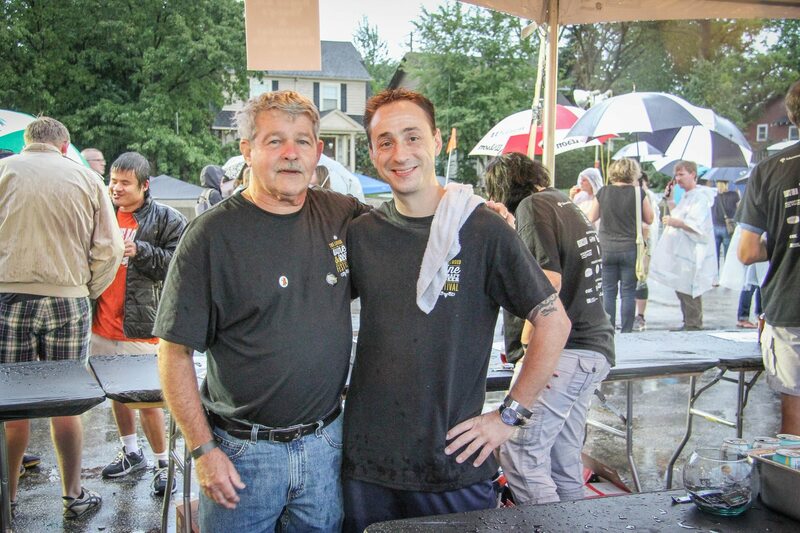 The Lakewood Wine & Craft Beer Festival represents a fundraiser for LakewoodAlive and the Downtown Lakewood Business Alliance, a program of LakewoodAlive, aiding in the continued revitalization of Downtown Lakewood. LakewoodAlive thanks the following festival sponsors: Sibling Revelry Brewing, Rozi’s Wine House, Around The Corner, First Federal Lakewood, Geiger’s, Georgetown Restaurant Lakewood, Sprokets, The Beehive Studio, Vosh Lakewood, Alaskan Brewing Co., Breckenridge Brewery, Rhinegeist, The University of Akron Lakewood, Cox Communications, Discount Drug Mart, Great Lakes Brewing Company, The Lakewood Citizen, Laskey Costello, LLC, Pat Catan’s Craft Centers, Platform Beer Co., Scalish Construction and Shinn Lanter, LLP. 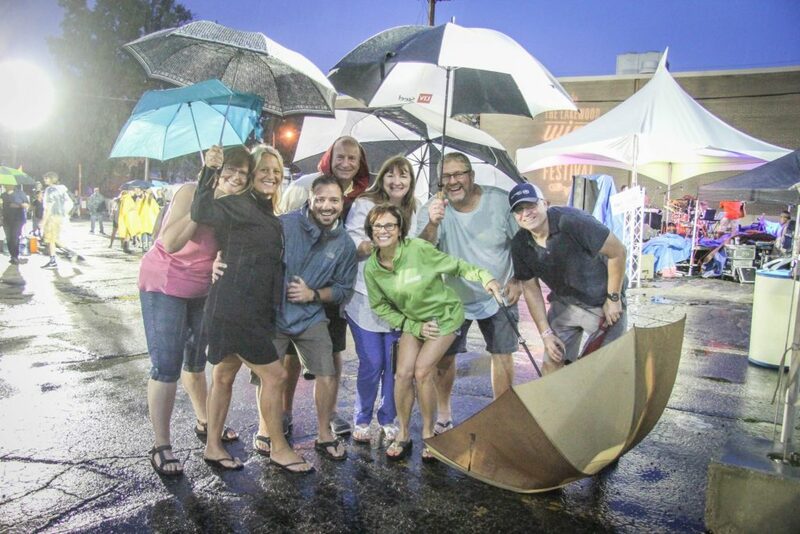 View our Facebook photo album from the 2016 Lakewood Wine & Craft Beer Festival!